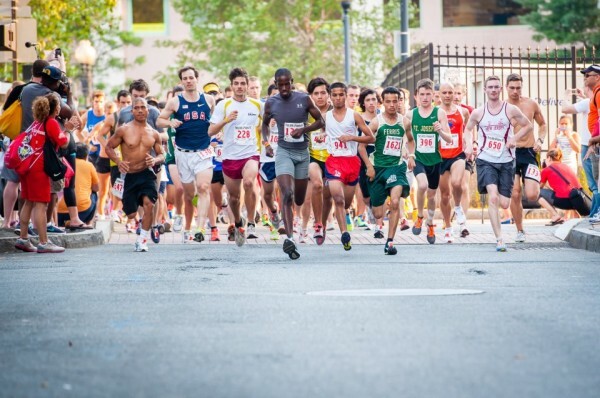 As one of the biggest races in Hoboken, this event supports local youth charities, including Hoboken Boys and Girls Club, TRUE Mentors and the Jubilee Center. There is a fun run and other special events for the kids before the evening kicks off with 1000+ runners participating in the waterfront 5K. An after party along the pier is a great way for volunteers and runners alike to end a successful night. TEAMS: Grab your friends to race and party together! It is easy to get started. Just designate yourself as a captains and then refer friends to join your team. RACE RESULTS: Will be available at compuscore.com shortly after the race. BAG CHECK – We strongly encourage you NOT bring a bag to the race. If you must bring one, there is a bag check area located at the end of Pier A. You’ll need to transfer all contents into the clear drawstring bag provided with your race materials with your bib number ‘bag’ label affixed. You may not put full bags inside the clear bag. Absolutely no bags, backpacks, or hydration packs will be allowed on the course. Any unattended bags will be confiscated by event security and could cause an interruption to the day’s events. We reserve the right to search any bag at any time. TRANSPORTATION – There will be street closings prior to the race so the best way to arrive is by public transportation (126 bus, PATH train, or ferry). We are NOT responsible for any tickets runners may incur as a result of parking on the street. VOLUNTEER: There are plenty of opportunities to get involved. Contact us at volunteer@partywithpurpose.org to learn more. Check out a videos from our previous races to get you pumped for the event!